(MENAFN - The Conversation) The election contest continues to focus on tax and health, with the government setting out the tax benefit people in particular occupations would get in the long term under its plan, and Labor announcing funding for pathology from its cancer package. Labor has rejected the later stages of the government's income tax plan, saying it is not fiscally responsible to produce details at this stage. It however has left the way open for a Shorten government to give tax cuts - beyond those promised to be delivered within weeks of the election – when budget circumstances allow. Treasurer Josh Frydenberg said: 'Anyone earning more than $40,000 will better off under our plan. It means school teachers, nurses, bus drivers and emergency service workers right across the country will have more money in their pocket. 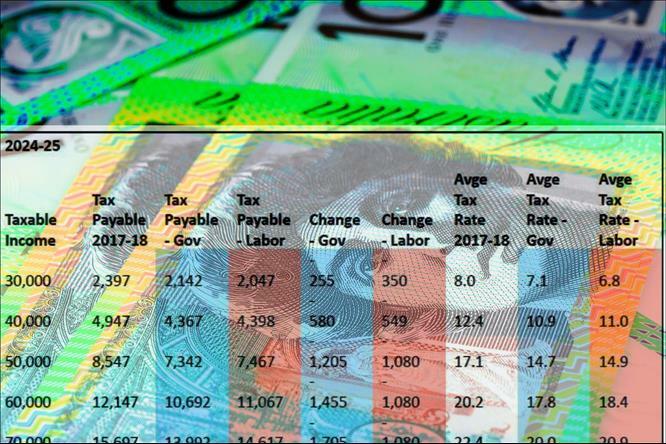 Tax and health have dominated the first days of the campaign, with the government using numbers from the Treasury to butress its argument about Labor as high taxers and figures from the Health department to claim Labor's plan to slash costs for cancer sufferers was massively under-costed. In the case of the attack on the cancer package the government's attack was based on a false assumption about rebates. 'Bulk billing for blood tests is at breaking point - cancer patients will either have to pay, or there will be a reducation in services,' Bill Shorten and health spokeswoman Catherine King say in a statement. The CEO of Australian Pathology, Leisel Well, said that 'without adequate funding, pathology services will be forced to stop bulk billing. "This will impact unfairly on poorer Australians, including pensioners. Many will simply not be able to afford tests, which means diseases will get diagnosed later at a greater cost to taxpayers, and most importantly with a greater impact on thye health outcomes of Australians'.